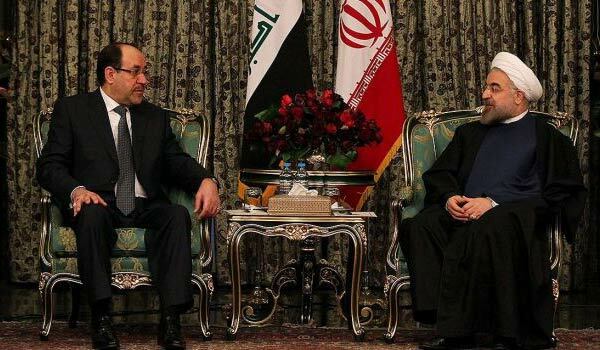 A photo released by the official website of the Iranian president shows President Hassan Rouhani (R) meeting with Iraqi Prime Minister Nuri Al-Maliki in Tehran on December 5, 2013. Like any other state, Iran is not immune to the temptation of spreading its world view to neighboring areas and beyond, or to seeking as much influence as possible over both near and more distant environments. Other regional countries have acted similarly during different periods of recent history. Thus Egypt worked to spread Arab nationalism and socialism, as Iraq did with Baathism, and Saudi Arabia with its particular version of Wahhabi Islam. These states have also tried to increase their regional influence. States often behave in this way; competition for influence is a truth of international relations. 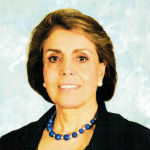 That said, since the end of the Iran-Iraq war in August 1988, and especially after Iran’s transition to the post-Khomeini period in 1989, for obvious reasons, Iran’s primary concern has been to maintain security on its borders and effectively shield itself from the disruptive effects of turmoil in its neighborhood. The main reason for this shift was the heavy human and material costs Iran incurred during the Iran-Iraq war, followed by the need to rebuild after wartime devastation. Due to Iran’s stormy past with Iraq, Tehran has become particularly concerned with stabilizing its relations with Baghdad. Since Iraq emerged as an independent state after the fall of the Ottoman Empire, Iranian-Iraqi relations have gone through several phases, mostly but not entirely characterized by tension. In the decades following Iraq’s indepedence, Iran’s relations with the country were dominated by the British presence in Iraq and broader British regional policies. When the Iranian parliament refused to ratify the 1919 British-Iranian agreement, which would have made Iran a virtual British protectorate, Britain followed a pro-Arab and anti-Iran policy in Iraq and the rest of the Persian Gulf. Iraqi Sunnis were given dominant positions, Iranians residing in Iraq were prevented from properly registering and denied the rights granted to other foreign nationals, and, most importantly, Britain ruled in favor of Iraq in the demarcation of the Shatt al-Arab (Arvand Rud) river on the Iran-Iraq border, after efforts through the League of Nations failed to resolve differences. On the basis of a 1937 agreement, Britain put the entire waterway under Iraq’s control, except a small area around Abadan in Iran’s Khuzestan province. According to this treaty, Iran had to pay tolls to Iraq when its ships used the waterway. In Bahrain, meanwhile, from the 1920s onward the British began an Arabization policy that ultimately led to its quasi-independence from Iran. At that time, Iran and Iraq were part of a Western-sponsored alliance, first under the British and later in the context of the 1955 Baghdad Pact, so these differences did not cause major conflicts in bilateral Iranian-Iraqi relations, although the status of Iraqi Shias and Iraqis of Iranian origin, along with the question of Shatt al-Arab, were always sources of concern for Iran and of tensions in bilateral relations. That situation changed when the Iraqi monarchy fell in 1958, and Abdul Karim Qasim formed a revolutionary government. This development was frightening to Iran and its leaders. Already, the Nasserite revolution in Egypt, with its pro-Soviet tendencies, and the march of pan-Arabism, with its anti-Iran flavor, had created problems for Iran. Nasser, as is now well documented, supported a variety of anti-Shah groups, including Iran’s Islamists and leftists. Moreover, Egypt, later joined by Iraq, engaged in subversive activities in Iran’s Khuzestan province, forming groups such as the Front for the Liberation of Ahwaz. Iraq also referred to Iran as the “Persian occupier” and supposedly tried, with the help of the Iranian Tudeh Party, Egypt, and the Soviet Union, to bring about an Iraq-style coup in Iran. At the same time, the Arabs began campaigning to change the name of the Persian Gulf. These tensions were reflected in military skirmishes between Iran and Iraq over the Shatt al-Arab. Iran tried to change the status quo by declaring the 1937 treaty no longer valid due to changed conditions. There was a brief thaw in relations when Adusalam Arif became Iraq’s leader in 1963, following a coup that brought down Qasim. However, broader Arab, regional, and Cold War politics interfered. After the Baathists took power in Iraq, relations with Iran entered their worst period. During the 1970s, Iran and Iraq fought a proxy war in Iraqi Kurdistan, with the US helping Iran. The result was Iraq’s capitulation and the signing of the 1975 Algiers Agreement, which resulted in Iraq having to share control of the waterway with Iran and seemed to resolve the Shatt al-Arab dispute based on the principle of thalweg. The tables were turned in 1979 with the Islamic revolution. The Arabs got their wish and the Shah fell. But they soon discovered that Ayatollah Khomeini was a far more formidable foe than the Shah. His discourse of revolutionary Islam was much more dangerous than the Shah’s so-called imperial delusions. Iraq’s Saddam Hussein had never forgotten or forgiven being bested by Iran, as exemplified by the Algiers Agreement. Sensing Iran’s turmoil and isolation, and possibly egged-on by regional and international actors, he attacked Iran in 1980. By calling this invasion another “Qadisiyya” - a reference to the decisive battle during the Arab invasion of Iran in 642 AD - he reminded the Iranians that no matter how pro-Islam and pro-Arab they become, they will never be accepted as legitimate players in the Middle East. Meanwhile, the Iranian revolutionaries took hostage American diplomats in Tehran and were later implicated in similar activities in Lebanon. By this behavior, they antagonized the United States and a good part of Europe and exacerbated anti-Iranian sentiments in the Arab world. 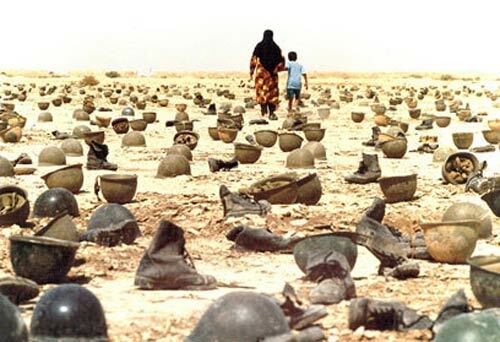 Irrespective of Iranian government claims, Iran lost its war with Iraq. When the ceasefire agreement was signed in August 1988, Iraq still occupied Iranian territory and was unwilling to sign a peace agreement. Iran was only saved from further Iraqi threats by Saddam’s ceaseless ambitions, when he invaded Kuwait in 1991 and brought upon Iraq the wrath of America and its allies. Contrary to conventional wisdom, Iran was a net loser of the 1991 Persian Gulf War. Had the Soviet Union not collapsed, the situation might have been different. But following the Soviet Union’s fall, the US became able to begin its policy of “dual containment,” which culminated in the 2003 invasion of Iraq. Saddam’s removal did not particularly improve Iran’s security environment. Indeed, a weakened Saddam would have been much better for Iran than living with US troops on its western borders after they had already closed in on Iran’s eastern borders following the 2001 invasion of Afghanistan. For several years, the goal of US policy in Iran, both stated and non-stated, became regime change in Tehran. Iran’s relations with post-Saddam Iraqi governments have also not been easy. Even during times of relative calm in Iraq, some Shia leaders, like Muqtada al-Sadr, tried to woo other Sunni Arab states. The new Iraqi government also openly declared it would never reinstate the Algiers Agreement, and it stuck to traditional Iraqi nationalist policies. Relations between Iran and Iraq only improved after the latter’s Shia government was almost totally isolated by other Arab states and following the onset of unrelenting Sunni extremist attacks, the shock of events in Bahrain and Saudi Arabia’s intervention there, and the crisis in Syria since 2011. Meanwhile, some Sunni members of the Iraqi government stated that Iran still remained the greatest security threat to Iraq. In light of this history, Tehran anxiously desires non-hostile governments in Iraq. If it can, Iran will try to prevent the rise of an Iraqi government dominated by ex-Baathists or by those who harbor strong anti-Iranian sentiments. Even under perfect conditions, any independent and united Iraqi state will be in competition with Iran; hostility and competition are of course two different things. Iran’s other primary interests in Iraq are economic and environmental. Iran has been subject to sandstorms that have been causing serious damage and endangering people’s health. To remedy this, Tehran needs the cooperation of Arab states where the sands originate. Thus far, Iraq has not done much to help; its many other problems have interfered with addressing this problem. Continued instability will further delay solving this problem. Meanwhile, by damming the Euphrates and consequently drying up the land, Turkey has exacerbated the sandstorm problem. Iran, like Turkey, also wants a share of the Iraqi market and cooperation on transportation and energy. Tehran is also obviously concerned about the future of Shia holy sites in Iraq. However, in attempting to back up its claims to broader leadership in the Muslim world, Iran has not played a purely Shia card in Iraq. Iranian statements always pin blame on the “Takfiris” (Muslims who accuse other Muslims not agreeing with them of being unbelievers) and not the Sunnis for sectarian problems, while the Sunnis often equate the Shias with the so-called “Safawis”, referring to Iran’s Shia Safavid dynasty. Indeed, if Iran’s dialogue with the Sunnis has not developed, it has been because of the latter’s unwillingness. In sum, because of its own vulnerabilities, fault lines and enormous domestic needs, Iran - despite its rhetoric - is essentially a status quo regional power. Iran, like all states, will try to capitalize on advantageous circumstances should they develop, but it has not been pursuing fundamental changes in the region’s makeup. Iran’s so-called regional gains, which are highly exaggerated, have not been the result of its own actions but of the policies of other states and their mistakes. What is to be done now, after Iraq has once again erupted into extreme violence? In dealing with Iraq and Iran’s role in it, Iraq’s realities must be kept in mind. Iraq’s post-Ottoman structure was both unfair and unrealistic and, hence, intrinsically unstable. It ignored Iraq’s ethnic and sectarian character. Any effort to restore that model would be dangerous and would fail. Like it or not, Iraqi Shias will want reasonable relations with Iran in order to balance the pull of the Sunni Arab world. But sectarian affiliation will not mean that Iraqi Shias will accept subservience to Iran; they are Arab and Iraqi and nationalistic. Second, the Arab and Western policy of delegitimizing an Iranian role in the region, as was done both under the Shah and after the revolution, is not workable. In pursuing security in the Middle East, powers should acknowledge Iran’s security concerns instead of simply viewing Iran as a predatory actor. Achieving basic friendly relations with Iran and Arab states will serve Iraq’s interests and that of the entire region. Lastly, Western regional policies centered on countering Iran, which have led to ignoring the disruptive actions of other actors, have harmfully distorted regional dynamics, just as excessive concern with the Soviet/Communist threat did during the Cold War. Yet these western policies have not helped resolve the region’s perennial problems, such as the Arab-Israeli conflict. There is, therefore, an urgent need for a new paradigm to guide Western policies towards the region and Iran. Iraq could be a good starting point.